There are plenty of fancy apps that can teach you a thing or two about our universe. Night Sky Pro happens to be an elegant application for folks interested in exploring the stars and the sky above. It covers stars, satellites, planets, and deep space objects and has great graphics to enhance your stargazing experience. 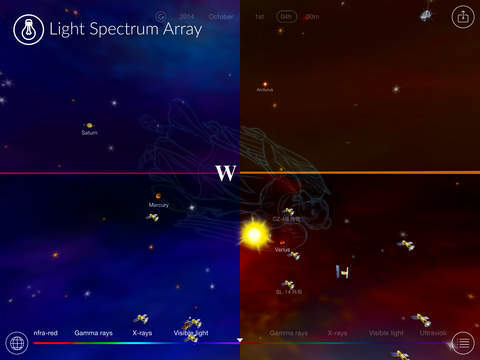 Night Sky Pro covers the entire solar system and has a database of Deep Space Objects with all kinds of useful information. You can travel to the future or back in time to view how the sky would look like. The app also lets you see the sky through various light spectrums. 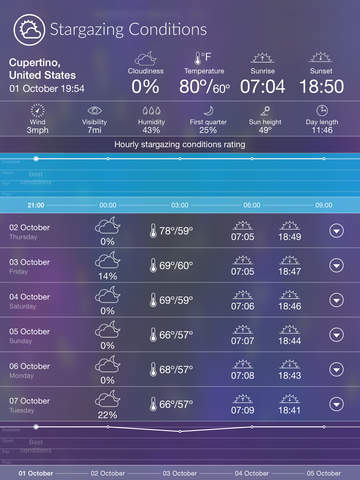 Night Sky Pro is a universal app, so it runs well on your iPhone or iPad. It supports widgets for iOS 8 users. You can try the app for under $1.